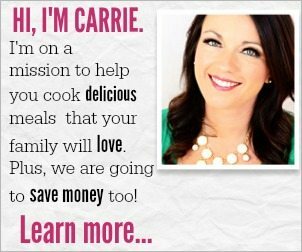 Carrie which Instant pot/pressure cooker do you actually have? Marsie, I have the Instant pot. Carrie, I have the instant pot also. Do you think that I could double the recipe? Would the time change? Patsy, yes you could and I think you could easily double it, as long as it is under the line. I would probably add a minute or two to the sealing time. can you use milk instead of water? If you double the recipe do you need to double water as well?